Not only is the Honda Civic one of the best-selling cars of all time, it has a history of more awards in more categories than almost any car. The Honda Civic’s outstanding record for safety, efficiency, drive and technology continue to impress both car industry judges and consumers year after year. 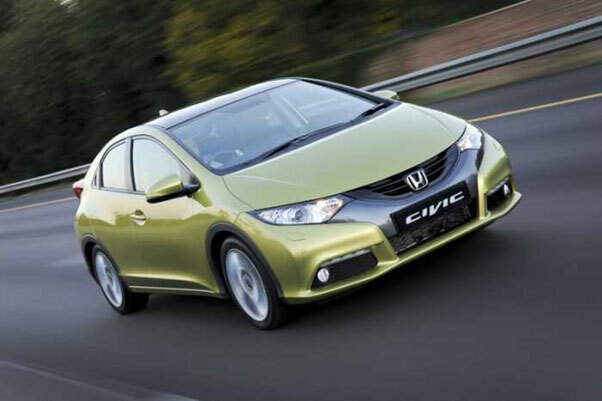 About.com gave the Honda Civic 2012 a Best New Car award. Honda has topped What Car’s Most Reliable Vehicle on the Road 7 years in a row, with the Honda Civic consistently awarded top 5 rankings. The 2012 Honda Civic was awarded one of the 10 Best Green Cars of 2012 by Kelley’s Blue Book. The Civic earned the award for outstanding fuel mileage along with, "remarkable reliability and exceptional value". Read Honda Civic 2012 Review from KBB.com here. The 2013 Honda Civic Sedan and Coupe Awarded Top Safety Pick+ from the IIHS, making the Honda Civic the first ever small car to win the Top Safety Pick + Award. For more information on the Honda Civic contact your local Mekor Honda Dealer.